From the same director (Angela Chan) who directed 1984's Maybe It's Love, 1988's Chaos By Design is the story of fashion designer Abel Song (Alex To) who arrives in Hong Kong from Japan to work. The film quickly sets up a few moments where gender roles are explored but they are such clumsy moments that I can't tell if it's the fault of the the era or the filmmaker that they don't work. 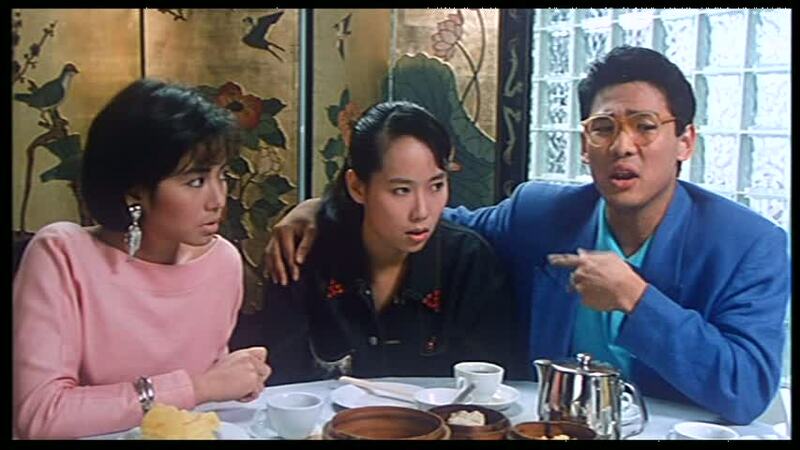 But I applaud director Chan for attempting something more than another wacky 1980s-era Hong Kong comedy. Add to that the fact that the filmmakers seem to think that the fashion world is filled with nothing but gay men and beautiful women (and a few gay women) and the viewer is faced with stereotypes and the potential for bold farce. 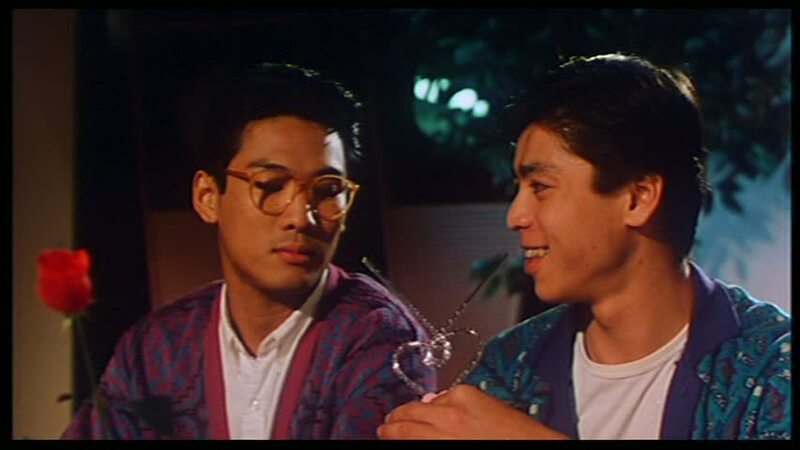 But it would be too easy to fault Chaos by Design for its awkward portrayals of gay men as none of these portrayals are as offensive as Michael Wong's role in I'm Your Birthday Cake (1995). Abel Song gets on the radio show run by Cherie Chung and Cecilia Yip and proceeds to give some interesting answers to questions about his love life. That starts a frenzy with listeners. 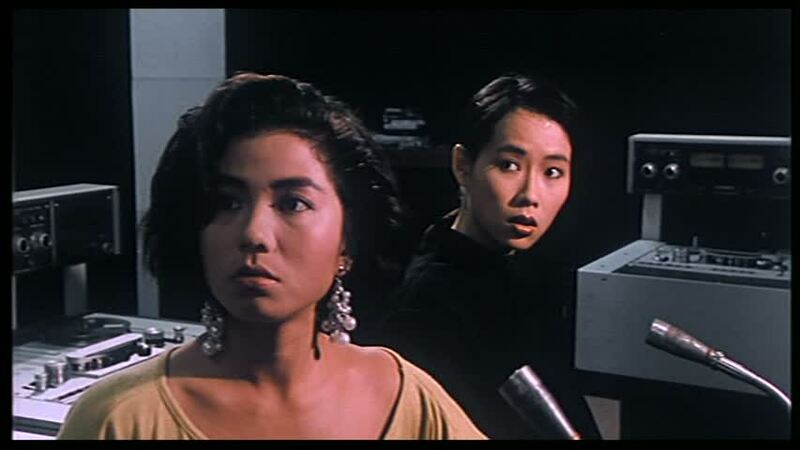 One of the highlights of the film is the farcical sequence where Cecilia Yip's aunts from America arrive and bring with them a nice man they met on the airplane in an attempt to fix the guy up with Cecilia. The nice man (Dennis Chan) is a sort of nerdy guy, clearly too old for the young and hip Cecilia. 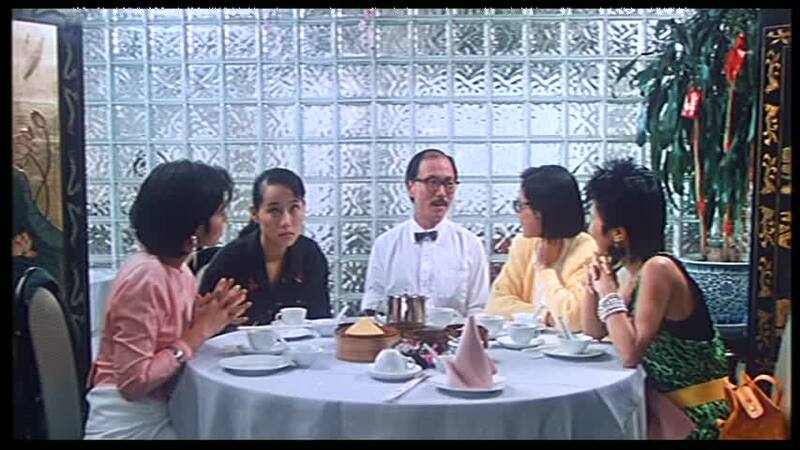 Luckily, Alex To shows up at the same moment to rescue the girl from the lunch with the aunties and the milquetoast Dennis Chan. I know it sounds like a broad scene but, given the era in Hong Kong cinema, the sequence is fairly understated and still funny. So Alex To and Cecilia Yip pretend to be a couple to fool Cecilia's American aunts. The sequences that follow are like "Three's Company" bits but with higher production values and without a laughtrack. Then, for almost no reason, Chaos by Design offers up a story-within-the-story. It's a ghost story set in the 1960s and it's really just a good excuse to dress up the lead actresses in cute retro outfits. So while Cherie and Cecilia are telling the story in the present (1988), the two actresses also get to enact the story in the 1960s. This extended sequence is like another film in tone and style. I don't know if that's a good thing or not for a viewer of what was, up until this moment, a 1980s gender romance. Okay back to the present: in what should be a surprise to no one, Cecilia Yip is starting to fall for Alex To. That development seems to annoy Cherie Chung's character. So Koku (Stephen Hoh), Alex's gay Japanese friend shows up, and the girls now think that Alex's character is gay based on a misunderstanding of Japanese dialogue. And then there's the unnecessary scene where a drunk Cherie Chung winds up in Alex To's bed. The scene really serves little purpose beyond advancing a plot point that speeds things up near the conclusion. Like I said, Chaos by Design attempts to do interesting things with gender roles but ultimately just descends to light farce. Admittedly, this subject matter would have turned out quite a bit differently with someone other than Angela Chan in the director's chair but, as it is, Chaos by Design is a bit of a disappointment despite some interesting moments. If you don't mind another interesting failure like Maybe It's Love, or if you just like Cecilia Yip and Cherie Chung, then Chaos by Design is probably worth your time. Hey, it's only 84-minutes long and there's a lot of interesting stuff crammed into those 84 minutes. 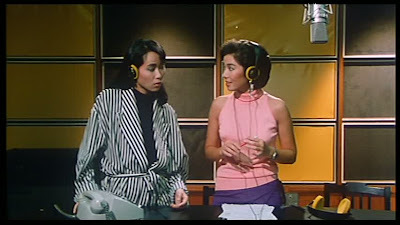 For me, as a Cherie Chung fan, Chaos by Design seems like an essential bit of viewing given the number of outfits and succession of looks that Cherie Chung unveils in this thing. 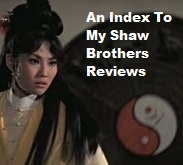 Even if she's not the lead, for those moments, the film counts as one of Cherie's better titles. 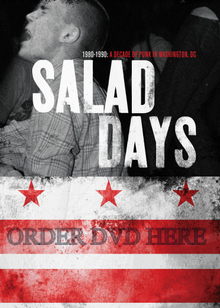 You can order Chaos by Design on DVD here.